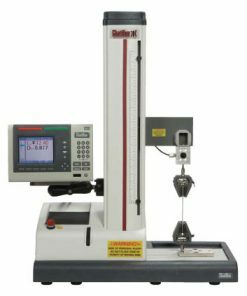 Force test stands are essential tools for any force measurement application. These stands can be used as a force tester when you can combine them with a force gage. 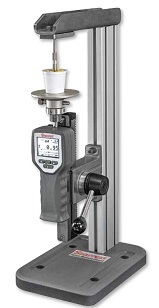 Such combinations allow the tester to perform force measurements which cannot usually be done with a force gage alone. Motorized test stands are also well-received in the market because they can provide a constant test speed and are optimized for production floor operation. At Willrich Precision, for more than four decades, we are a trusted retailer of quality measuring instruments that are made for force and torque applications. We have been serving many customers in the gaging, inspection, and metrology industry since our inception so you can be sure that the products we carry are built to last, easy to install and use. Whether you are looking for a spring tester bundle with force gage or cork extraction tester, you can rest assured that we have all the products you need to fulfill your force testing needs. Willrich Precision is passionate and dedicated to improving our services and product offerings. It’s highly recommended that you experience the Willrich advantage when it comes to procuring precision measurement instruments. Start browsing through our inventory for force test stands today, and shop with confidence!